Now a days expired Tumblr blogs with good Backlinks and Moz PA are so great. For Backlinks and Trust Flow (TF) Based Tumblr Blogs, Please check our gig extras. Special Offer: 2 tumblr blogs with PA 50 or 50+only for $5 ( check gig extra for order). 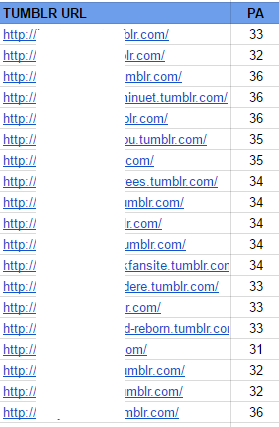 Backlinks Based Expired Tumblr Blogs is ranked 5 out of 5. Based on 421 user reviews.